This latest installment of Bands in the Neighborhood is on Elena & Los Fulanos, local residents who play bilingual folk rock. 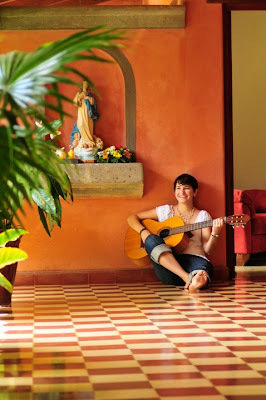 Front woman, Elena Lacayo (guitar, vocals), had been writing music for a number of years, playing as a solo act in the DC area when she was approached by Danny Cervantes (violin, vocals) to collaborate on her music. His membership was quickly followed by the band's backbone, Andrew Graber (drums) and Matthew Mellon (bass) and most recently, in 2012, the band was joined by Craig Keenan (guitar, vocals). Tell me more about being a bilingual group? I (Elena) grew up in both Nicaragua and in the U.S. and my life, personality and outlook has been deeply shaped by both languages and cultures very deeply. 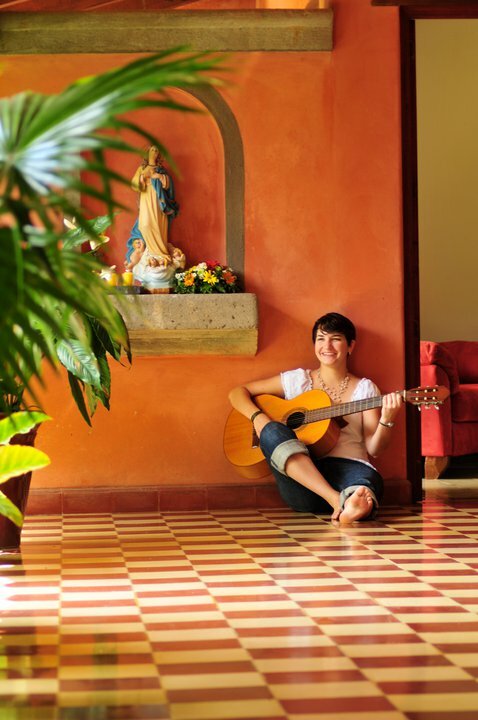 I was alswasys drawn to music in English (Radiohead, Smashing Pumpkins, Fiona Apple, Counting Crows -- all considered "underground" in Nicaragua), but was also greatly immersed in Latinamerican music and love the music from artists like Shakira and Soda Stereo. I felt that I could not fully express myself through music unless I did so in both English and Spanish and found that I needed to write in both. Can you explain the band name? Haha! It's just a word I really like in Spanish. Fulano means "so and so", like a term you use when you don't know someone's name. I like it a lot and it gets good reception. I sometimes worry about the feelings of my bandmates towards it but they seem to dig. I have lived on 13th and Columbia for the last 6 years and met Danny on Craiglist when he applied to live at my place. Matthew has lived in Petworth for two years and Graber has lived in various parts of the city, including Petworth. Craig also lived in Columbia Heights in 2010 and 2011, also at 13th and Columbia. We usually practice at my house in Columbia Heights and we've played at the Wonderland, the Velvet Lounge and at various house parties in Columbia Heights/ Mount Pleasant. Our band has been influenced by a number of bands. Danny is also in a Mariachi band (Mariachi Los Amigos, who often play at Haydee's), so we certainly have some Latin American influence. Do you have any records out? Not yet, but we hope to get some singles out soon! Gone on any tours? Any crazy and terrible tour stories? Not yet! Up and coming. DC has some amazing musical history from Jazz to Punk and some great current acts. We hope that the growing multiculturalism in the city will make our music accesible and appealing to the transient and not-so-transient city inhabitants. Here's Elena & Los Fulanos' Facebook page and some live videos. The pool is now open on weekdays! !